OLCHS has just celebrated another successful Refugee Week, with this year’s theme of “20 Simple Acts”. 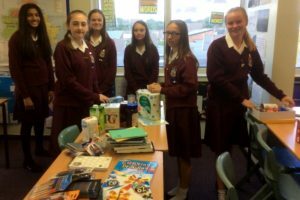 In Geography lessons, Year 8 pupils learned about the global refugee movement and wrote some creative writing pieces as a response to what they had learned. This work has been distributed around churches in Preston and displayed during Refugee Week as one of our “simple acts” of welcome and understanding. 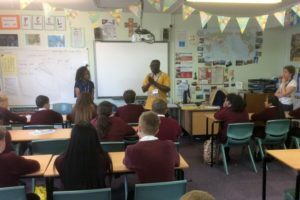 During the week itself, Year 10 and Year 8 experienced some real life testimonies from refugees and asylum seekers. Hearing the testimonies of people from countries such as the Congo and Syria really drove home the challenges that refugees and asylum seekers face both in their home countries and then upon arrival in to the UK. Particularly fascinating was a Year 8 empathy session led by Wonder Phiri from the Red Cross. Finally, many thanks to all those who contributed to donations for our “Welcome Boxes”. 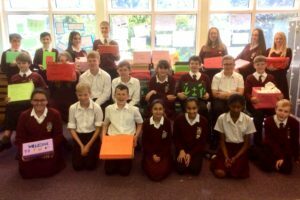 We managed to put together 28 boxes for refugee families living in and around Preston, and these will be distributed into the community by the Talk English group and the Red Cross based at St. Cuthbert’s church centre.